Riders Against the Storm Host Festival and Drop Single "OverUnder"
Local hip-hop funketeer group, Riders Against the Storm, are revving up the 5th annual RAS day which will feature other headliners like the legendary Saul Williams, NYC rapper Nitty Scott, and the Brazilian afro-rockers, Gato Preto. This years RAS day fest has some magnified significance this year because of the targeted bombings that were perpetrated against people of color earlier this year, and the resilience of that community which would rather express themselves artistically rather than continue the hate. While music is the main attraction at RAS Day, art and wellness are also on the docket for an immersive experience. 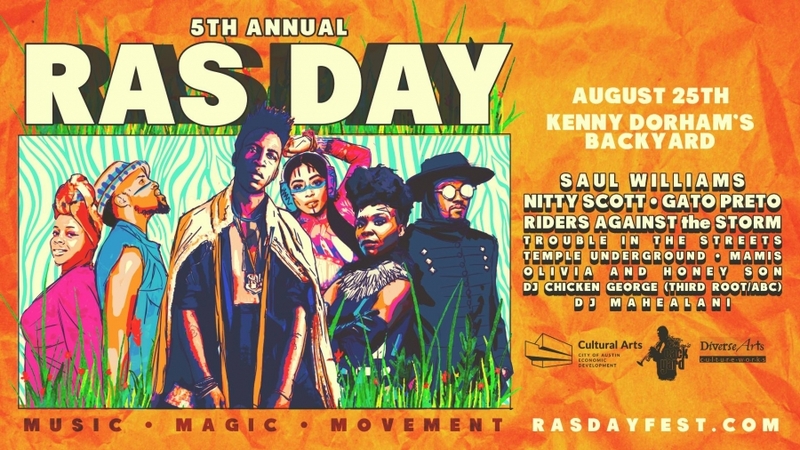 RAS day tickets are $20 and can be bought here. As we get ready for the festival on the 25th, Riders Against the Storm just dropped a new single "OverUnder" for you to imbibe prior to the event!